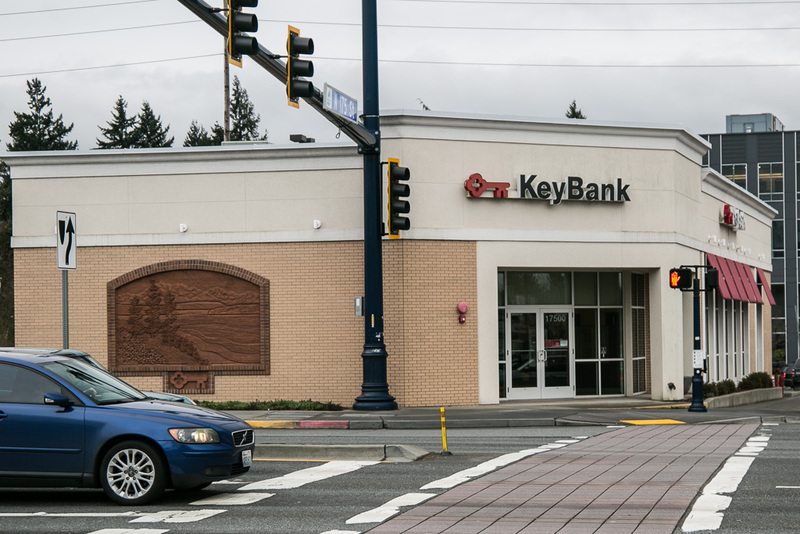 A bank robber underestimated the Shoreline police. At about 2:40pm on Friday, a man entered the Key Bank at N 175th and Aurora and demanded money. No weapons were implied or seen. Shoreline police caught him 15 minutes later near NE 170th and 15th NE. Shoreline City Hall, just behind the bank, and surrounding businesses were closed during the police response. 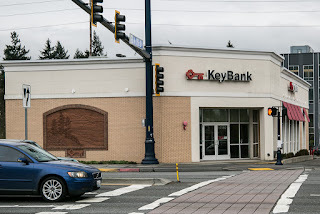 Today, at approximately 2:45 p.m., a bank was robbed near N 175th / Aurora Ave N. Patrol Officers were in the area within 1 to 2 minutes and they received updated information on the robber's location very quickly. Units were vectored in the North City area and the suspect was boxed in. Detectives, accompanied by a uniformed Officer, spotted the suspect and took him into custody without incident. An associated stolen vehicle was recovered as well. A King County Sheriff with his k-9 made an unwarranted rude remark to me as I was getting ready to leave Safeway with my dog. These are the kinds of things that the public remembers when there are stories about excessive force, etc. No need to create hostility, sir!